While cleaning out some drawers in the kitchen, Stego found the waterproof disposable camera he and Nessie had brought along on their vacation to the Bahamas a couple years ago. Apparently they had forgotten to get the pictures developed when they returned from Nassau, and the camera had been collecting dust ever since. 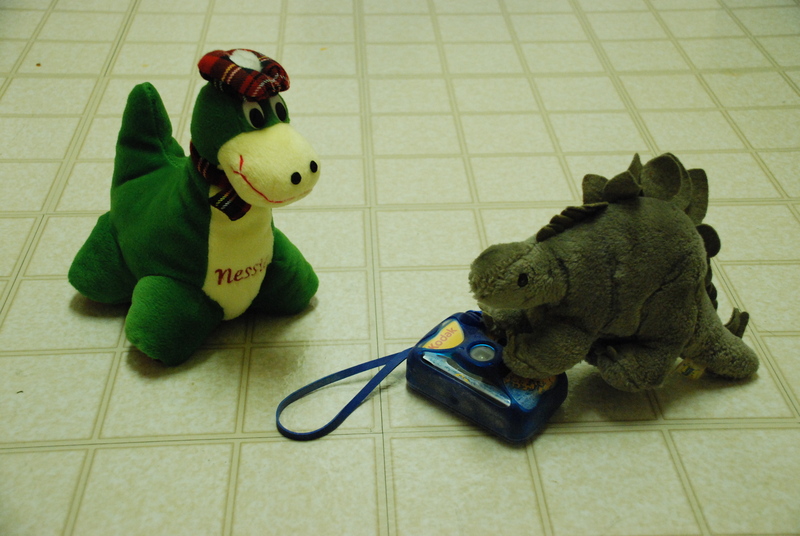 Stego was pretty sure the pictures were just from snorkeling and hanging out on the beach, but Nessie wasn’t so sure. Many rum punches had been consumed that week. Maybe the camera was better off back in the drawer.